In this second look at Star Fox Zero, Morgan Sleeper has a more positive experience than colleague Alan Lopez. To reflect the divisive nature of the controls, Alan's updated impressions from another playthrough are also included. When Miyamoto-san's Muppet started sprouting Star Fox features during the Nintendo Digital Event at this year's E3, we knew we were in for a treat - Star Fox Zero was the marquee Wii U title on the show floor, and easily the most talked about game from Nintendo's lineup. 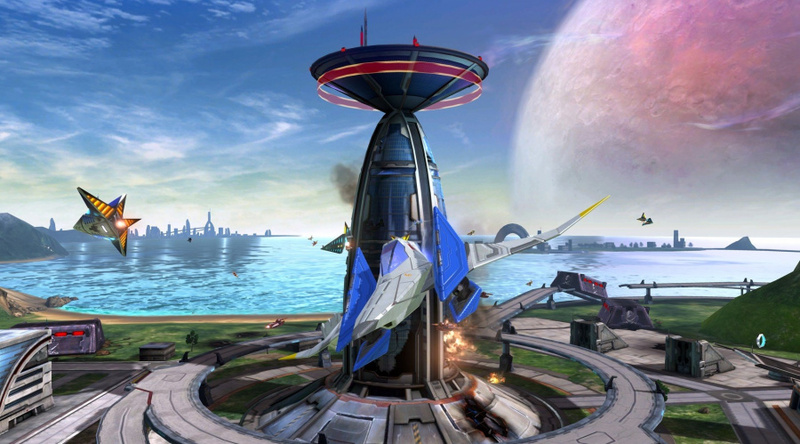 Co-developed by PlatinumGames and using a dual-screen setup to provide two simultaneous views of the action - 3rd-person behind the Arwing on the TV and a cockpit view on the GamePad - it's instantly recognizable as Star Fox, and yet something very different at the same time. Early reactions were relatively mixed, especially in terms of the controls and the prominence of the GamePad; our own Alan Lopez had some serious reservations in our First Impressions article. It wasn't until the last day of E3 that I got a chance to sit down with Star Fox Zero in the media section of Nintendo's booth, and - taking Alan's Nintendo rep's advice to heart - play through the demo three times over. While the controls are certainly different, I thought they worked wonderfully, and loved every minute of my time with Fox and company. The demo featured two distinct levels: a nostalgia-tinged run over Corneria, echoing the opening level of Star Fox 64, and an All-Range Mode deep space dogfight against porcine pilot Pigma. I started out in the former, and though the initial nosedive that sent me speeding over Cornerian sea was pleasantly familiar, it quickly became clear that any muscle memory from Star Fox 64 wasn't going to help me here, and I took the first few enemy-free moments to get acquainted with the new controls. Using the GamePad, the left analogue stick steers the Arwing, while the right analogue takes care of most mid-flight maneuvers: tilt it forward to boost, hold it back to break, and double tap to the left or right to make Peppy proud and do a Barrel Roll. Holding down both sticks to the left or right makes for tighter turns, double tapping both back will perform a 180°, and the ever-useful somersault is assigned to 'X' - close enough to the right stick to feel like an easy extension. 'ZR' fires your lasers (tap to shoot, or hold to charge and lock on), and 'ZL' enters Target Mode, which I'll come back to later. After a quick learning curve, this new twin-stick setup felt fantastic - I found it intuitive and fluid, and a much more natural manifestation of what we'd imagine Arwing controls to be like than a button-based approach. I was able to dodge and reflect enemy fire, speed through closing doors to grab tantalizingly-placed silver rings, and swoop under and around Corneria's Inari-inspired torii gates with ease, and it was absolutely exhilarating. 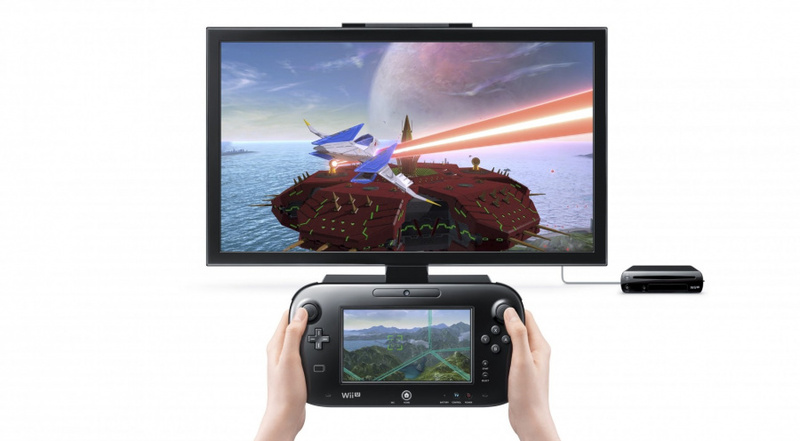 Of course, that's only accounting for one half of Star Fox Zero's control scheme - the GamePad's gyroscope also comes into play, controlling the cockpit view on the second screen, which lets you look around and aim your lasers. A quick click on the left analogue stick will recalibrate the gyro, and though my Nintendo rep recommended holding the GamePad vertically, parallel to the TV screen, I had no trouble playing with it resting comfortably in a more natural position. 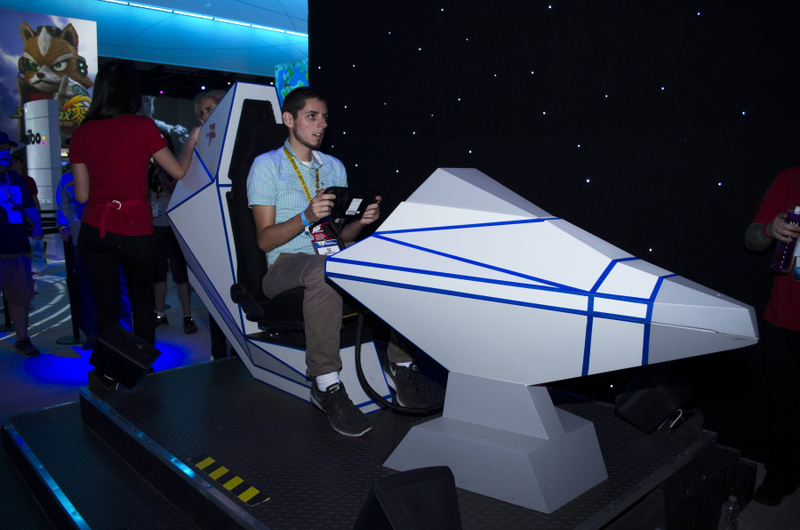 Importantly, the gyro controls affect your aim, but have no impact on the actual trajectory of the Arwing; it's looking around within the cockpit, rather than steering the ship, and that difference is crucial to getting to grips with the new control scheme. All else being equal, you'll fire directly ahead of the Arwing, just as in Star Fox 64. When you tilt the GamePad, however, the aiming reticle on the TV moves along with it, allowing you to pick off targets much more precisely. It actually feels very similar to Splatoon, in that you use the analogue sticks for larger movements and the GamePad's gyro for smaller adjustments, and just as in Nintendo's squid-ink shooter, it works wonderfully here. Pair that precision movement with the zoomed-in cockpit view on the GamePad, and you can comfortably snipe some surprisingly specific spots when you need to. In a later section of the Corneria stage, for instance, I was faced with defending a tower from crab-like enemies that were crawling towards the top. These foes had small glowing weak-points in the middle of their frames, and couldn't be damaged by my lasers anywhere else. Initially, I was trying to take them out while looking at the TV, but - being unable to lock-on to the weak-spots - it was tough going. When I looked down at the GamePad view, however, it became incredibly easy - the one-to-one ratio between tilt and targeting meant I could make much subtler adjustments in my aim, and the zoomed-in view made picking off their weak-points a simple process. This tower section also showed off a new affordance of the dual-screen setup: the ability to fly in one direction and fire in another. Since the GamePad controls your targeting independent of the Arwing's flight, you're free to fire anywhere in the 180° in front of your ship. It makes for a small but noticeable difference in the on-rails sections - being able to take out groups of enemies approaching from the left and right without shifting your course, for instance - but in All-Range Mode areas, it's a game-changer, especially when paired with the 'ZL' Target Mode. Holding down 'ZL' will lock your TV view onto the most pertinent enemy threat in a given situation, whether that means the nearest enemy to your Arwing, the most important baddie to the mission, or the enemy closest to taking out an ally or level element you need to protect. In the tower section of the Corneria stage, for example, 'ZL' would target the crab who was highest up the tower, while in the dogfight stage, it consistently sought out Pigma. While it doesn't lock your actual targeting reticule onto the enemy, it lets you quickly get a good look at your position relative to everything else, and then act on that information - using the GamePad - from there. In the tower area, I used 'ZL' targeting to scope out the situation and quickly swing around using the GamePad, shooting down peripheral threats to the tower as I continued on-course towards aerial enemies on the TV screen. In a boss battle at the end of the stage, I used the TV view to steer our Arwing away from laser beam attacks while taking out turrets in different directions on the GamePad. And in the dogfight against Pigma, I used it to keep a watchful eye on Star Wolf's self-proclaimed ace, tracking his homing missiles' approach from a 3rd-person perspective and letting me somersault at exactly the right moment to gain the upper hand, before switching to the GamePad to fire away. In each situation, pulling off these feats of finesse felt amazing, and always well-earned; with two screens showing distinct information at all times, it's certainly a lot to keep track of, and I definitely smashed into a few buildings, sped blissfully off into space, and skirted past gold rings without noticing while lost in targeting on the GamePad. That said, I found myself getting noticeably better each time in my three play-throughs - and most importantly, it was massively fun from the first. Aside from the transformative new control scheme, what I played of Star Fox Zero didn't stray too far from Star Fox 64 territory in terms of basic gameplay - I briefly tried out the Walker transformation, an AT-ST-style land vehicle that was fun to control, though not so well suited to Corneria's twisting river canyons - but I expect that's a function of the E3 demo build rather than reflective of the game itself. Nintendo's introducing a very different style of flying to Star Fox in Zero, and giving players their first taste of that new control scheme in a level that retraces familiar territory - complete with nostalgic team banter and some beautiful callbacks - seems like a smart move. I'm eager to see what other surprises Star Fox Zero has in store as we learn more ahead of its Holiday release, and in the meantime my extended test flight left me tremendously excited for more. Star Fox Zero demands a new skill set, but it's immensely rewarding to come to grips with; there's plenty to keep track of over its two-screen setup - as I'd suspect there might be in an actual Arwing cockpit - but it never felt overwhelming, and the challenge was a rush. Star Fox is back in style, and I can't wait to take to the skies with Fox and the gang in the final version. My initial thoughts on Star Fox Zero were less than flattering. I thought Star Fox Zero played poorly, looked dated, and was the sign of a compromised company made vulnerable from a necessary chess move. Was Star Fox Zero really Nintendo's sacrificial pawn? Okay, so it was more like a fancy computer chair with stickers. But as the Nintendo rep handed me the Wii U pad as I sat in this 90's arcade cabinet, I instantly felt my inner child take off along with the demo. My seat began shaking beneath me in time with the jet engine of the on-screen ship. The loud intercom near my ears blasted messages from allies on one end, foes on the other. Instead of Corneria, this time I picked a demo where Fox was zipping through the hollowness of space with his buddies. With my absolute full concentration, I took on everything that came my way, most of which, honestly, consisted of some floating debris and a small handful of bogeys. Still, with no environment to threaten my forward progression, this playthrough ran much smoother, even with the motion controls. I expertly blasted down every last ship, and I can't help but tell you there was a grin on my face the entire time. This time I had realized: maybe this could really be fun. But then Pigma showed up, and everything began slipping away from me, all over again. All range mode kicked in. It was time to look down at my hands to defeat the boss. On the large, flatscreen in front of me kept this sort of third person camera view of my ship, which while mostly useless, became my only real way of tracking down Pigma in the vastness of space. I spent an equal amount of time flipping around and trying to land shots with the motion controls as I did with the entire rest of the level. I'm surprised the demo didn't flunk me after so much time had gone by. I did ultimately finish the level, but I relied mostly on the screen in front of me to configure my place at all times. If you're trying to imagine what that's like, try to envision playing Mario Kart 8 in first person in your hands, while your TV in front of you displayed only an intractable version of the camera angles used during the after-race replays. By the end of my second demo, I felt the intended immersion came not from the new controls, but from the fancy speakers and Arwing seat I was sitting in. And unless you happen to have an Arwing sitting at home, you may be no more engrossed in this version of the Lylat system than I have been. Interesting how polarising the two opinions are. I'm excited to give this a try myself! I am still disappointed that the graphics are so subpar. Do you guys think 6 months is enough to improve the graphics by much? I am so pumped up for this game. It's exactly what I've been hoping and waiting for the last 18 years! @MikeW It's hard to tell. It seemed to me during Treehouse demos that it's a bit patchwork, as if PlatinumGames took over after a certain point - early levels look meh, but a Landmaster stage that Treehouse showed off looked pretty nice. How much visuals can be improved in about 4 months (bear in mind they have to go 'gold' at least a month or so before release) depends on how far development has gotten. If the campaign and features are practically done they can focus on squeezing better visuals, but I doubt that'll be the case personally. Given the choice I'd rather have 60fps than stunning visuals, but I know not everyone necessarily feels the same way. Guys, I have to say I really like this approach of offering two differing viewpoints in the same article. Very fair and inclusive way of handling things, especially with a game this polarizing. @ekreig Thanks! It was awesome having both Alan and Morgan in LA, but because they had such differing experiences it seemed to be the way to go. This seems a bit like a Splatoon scenario, or maybe more like Kid Icarus: Uprising - the controls either 'click' or they don't, it seems. Maybe we'll all need to spend a good hour mastering controls before we're getting those 'Mission Accomplished' results. I just hope that whoever reviews this game no matter how bad the score is atleast motivates us to try it. I have a feeling that a preview might be needed for this game. This whole game screams Kid Icarus again...then again that did well even with its control scheme. Hoping for the same with this. Ugh... every time I read a description of the controls I glaze over and give up. Without a demo I'll probably sit this one out and wait for a return to Crimson Skies. The more i hear about the control scheme the more excited I get. I know it isnt a flight stick but its the closest we will get on a standard controller. So... Did Alex just not know about target view? Once again, his negative view on this stems entirely on him just not knowing the controls. Typical. Even with the more positive writeup the control sound like the make no sense. I already scratched my head when Miyamoto talked about how great the second analogue stick is and then suddenly talked about using it for mapping buttons to it. It seems so counter-intuitive. I guess with this one I just have to wait until GamesCom and see myself. This is going to be one of those I need to play games to find out whether I'll like it or not, footage and impressions just isn't enough. This is a game that they absolutely need to release a demo for. No way will I put down money on this before getting to try the controls out and I live in the southern United States, so it's not like I'm attending games conventions. Cut it to 5 uses for all I care, just let me take a crack at it. I wanted to add for our readers that I am not vehemently against motion controls in general. I have played just about a trillion eShop titles on the Wii and Wii U. I absolutely love Wii Sports Resort, for instance. Aside from the business-political quagmire that I see the title in, I just feel like overwhelming focus on motion controls is totally wrong-headed for this franchise. In regards to holding down the trigger for target view, it really is no help locking on to an aggressive AI who is super good at keeping behind you (like in the old star fox games) when you still have to get to their ship using body motions. This is the Starfox I want. So sue me. Everything is shaping up to be ace, regardless of the cynical teeth gnashing. I suppose KI:Uprising is a fair comparison, but that is one of my favorite games in the last decade, so... I'm not going to knock a game down because it aspires to something different than what I'm familiar with. Let it breath. At least let it exist. @Pandaman This "business-political quarmire" of your own imagination has no place here. Who gives rip, honestly? It's not substantiated with facts beyond your own assumptions and persuasions. Spiking your first impressions with that sort of drivel is poor form and reflects mostly on your own inability to give a game an objective, fair shake without pretense. So many people begging for a demo. Just go rent it when it comes out to see if you like it. Sheesh. Who the heck judges a game based on it being an unnecessary chess move? Anyhoo, glad the pseudo intellectualism subsided long enough for you to appreciate what is obviously star fox with some neat game ideas. I'm finally playing Hyrule Warriors right now, and the game is indeed fun (contrary to my expectation), but with each hour I log, my desire to slap someone for it's lack of online co-op, which would be even more fun, grows exponentially. Sometimes people need a little getting-slapped around, esp. if they insist on living in a past century, and thus causing other people quite some grief. @GrailUK Does it not contextually enhance your understanding of something by understanding how it got there? Don't you want to know which paintings Frida painted after she found out Diego was cheating on her? Don't Public Enemy's songs make more sense understanding the politics of the early 1990's? As it goes then, don't you find it just a little strange that Hideki Kamiya has no involvement with this title? Isn't it odd that this game looks nowhere NEAR as good as Yoshi's Wooly World, Mario Kart 8, Mario 3D World, Smash Bros U, or virtually any other 1st party Wii U title? Or Bayonetta 2, for that matter? What's going on here? Nintendo Life impressed upon you their thoughts of the demo itself, and yes, that often includes the context in which the game was presented to us - as it should be. Neither of us were disingenuous about our honest takeaways, and I hope you at least appreciate that our goal is to not just to be a mouthpiece for Nintendo's PR team. This looks like an NES game. @MikeW graphics are not gonna get that much better. Looks like a GameCube game and I don't see it getting much improvement. Also why is nobody talking about how empty levels look.. I hope they give the rest of the star fox team some good ai.one of the reasons the original stuck out to me so much is because your in a team instead of a lone ship like a lot of shmups so hopefully it actually feels like your part of one. The tilt controls interest me but not the "aim via the gamepad" mechanic. I want to play in 3rd person on the tv but would like to aim similar to Splatoon. 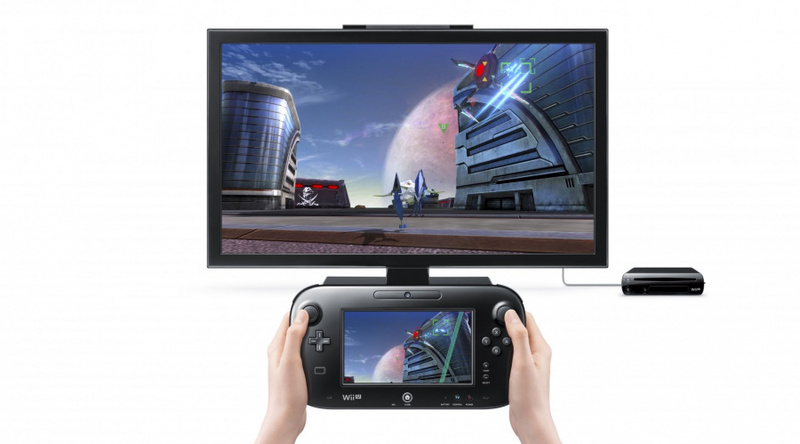 Who wants to look at a small screen like the Gamepad to play the next Starfox game? The build that was brought to E3 could easily be months old, already. It's not as though they just slap that together the night before the conference starts. It may also be the case that the developers intentionally scaled back the graphics in this build because the game in development isn't running at 60 FPS yet. In any case, the graphics may, even now, not be far off from what people are hoping for. That having been said, it may be that what we see is what we'll get as Nintendo will prioritize frame rate over graphics. I say have faith. Nintendo has not released an ugly or choppy game on the Wii U yet as far as I am aware. @Pandaman Don't get me wrong I really enjoyed this article but I felt the 'compromised company' was a wee bit unsubstantiated. @OneBagTravel But imagine that as you are flying and watching the third person perspective on the TV, that perspective constantly changes as you move the Gamepad, intentionally or otherwise. This isn't Splatoon... there is a lot going on in an on rails shooter like Starfox. I think this would be far too disorienting. As things stand, the tilt controls don't effect your camera when you're flying, and I think that's the way it has to be. Personally, I think the game looks great. This is the game I have wanted since Star Fox 64 (for the most part). While the graphics could certainly use some polish, that's far from a deal breaker for me. I would rather see local and online multiplayer and co-op get added if there is still time. Miyamoto was talking about one player using the Gamepad to shoot while another player handled flying. I'd rather play online controlling Fox's Arming while a buddy controlled Falco... but I'm pretty sure that's not in the cards. @OMGILikeTurtlez Rent it? From Blockbuster? @Pandaman Why would we want any of that in your first impressions? Maybe in a final critical analysis or review, but mostly that's just nonsense. Why does it matter whether Kamiya is invovled? Platinum is a large studio with many cabaple creators, he is just one figurehead (who, besides, is working on a longterm project of his own for MS). The graphics are a work in progress and the interface in SF0 is far more demanding than any of those finished games you mentioned. Let's see what happens. Mostly we just want to know how the game plays, what sort of potential is evident, etc. And to that end your impressions can generally be summed up thusly, "I just feel like overwhelming focus on motion controls is totally wrong-headed for this franchise". I'm still not crazy about paying $60 for a game that has only 5 levels and 3 challenges. It feels like the anount of content is limited for the price point they are giving. Though im still interested to learn more about the game. It's interesting to read two different opinions like that. I hope Nintendo will release a demo so that we can try the game before release to see in which camp we are. "While the controls are certainly different, I thought they worked wonderfully, and loved every minute of my time with Fox and company." Excellent. This is what I've been looking for. When I heard last year that Splatoon used gyroscopic controls in addition to the right stick, I was skeptical. After playing it for myself, I decided that those controls work better than dual analog alone. Because of that I was more open to Star Fox's controls, and I'm glad to hear that they seem to work well, too. "It actually feels very similar to Splatoon"
@Rect_Pola I agree. I was skeptical about Splatoon's controls at first and actually turned off the gyro after hearing so many people insist that it was terrible. Thankfully I eventually gave it a try. Now, I would never go back. I think there's a large group of gamers that really believe that the evolution of game controls should stop at the PS2 controller, and anything that deviates from a traditional two stick control scheme is automatically suspect. It's a shame really. From what I'm seeing the visuals aren't nearly as bad in close quarters situations where they are able to concentrate processing power and display significantly less at once. I am still dissapointed however in the relatively poor open area scene's such as Corneria where environment pieces such as walls and buildings are quite poor. Having developed for Wii U however the decision to do this is BLATENTLY obvious. They are using the Wii U Gamepad for immediate processing as compared to a silly menu or something simple - generating the custom audio on the Pad as well as some Gamepadcentric elements such as the reticle/laser produces MASSIVE slow down. Any system would suffer from cutting it's processor in half for two separate renderings but the relatively underpowered (comparatively) Wii U gets hit hard on experiments such as Star Fox Zero. Good to know thought that some areas are quite beautiful. I personally appreciate the cartoony color scheme as I think that aspect is a fine choice - I'm just perturbed by such a low poly rate on some of the assets as well as low texture quality on environments as mentioned above. I hated the graphics of the game as much as anyone during the NDE, but I'm used to them now. They aren't good, they aren't great, but if they are trying to make this game look like an HD version of the N64 game then they've succeeded. When the gameplay starts they should fall into the background where they belong and not be an issue at all. Even if the game looked great though I'm not paying $60 for a 2-3 hour game. 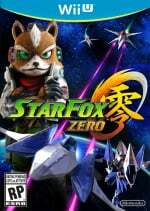 If this comes out in the late Nov early Dec holiday time frame, and XCX is out Dec 4, which looks absolutely gorgeous, and will run 50+ hours (I honestly don't know how long it is, but I'm nearing 100 in the first game) and possibly has online multiplayer giant monsters to beat, well that puts Starfox Zero practically into virtual console territory for me. Airwing chicken can't hold a candle to a walking flying car skell. Apologies for the horrific pop music, might want to mute it, it's the first short video that I came across . I'm just not convinced in the slightest. I could see the GamePad control thing making some sense with the Tank, seeing as tank guns move independently of the main vehicle, but not with the Airwing. It just feels totally forced and gimmicky. The whole thing just seems more convoluted and clunky than it ever needed to be. I personally think it's going to be ultimately detrimental to the game experience, as compared quite simply to how it already was before in the previous games. I think people are generally either just forcing themselves to like these controls, because they basically have no choice (so they're actually doing their own brainwashing, and saving Nintendo the job), or totally forgetting about how near perfect the controls were in the first game in the first place; such that anything that even slightly diminishes that, especially for the sake of a silly gimmick, is a negative imo. It would be like someone actually arguing that aiming with a Wiimote in an arcade style gun game (and waggling to reload) is somehow better than aiming with an proper gun peripheral in the same game (and shooting outside the screen to reload)—where the gun version of the game actually reads exactly where you are directly pointing the gun accurate to the nearest pixel and also doesn't give you wrist cramps. It's a compromise and if you don't have to compromise then why the hell would you want to. If something works flawlessly and feel brilliant in the first place, as the controls in the original Star Fox did, then adding in more layers, which just unnecessarily complicate things and polarise people, is not good design imo. People can try to defend and rationalise this all they want but I can see with my own eyes that the game frikin has you shooting vertically up at times when the Ariwing is actually flying forwards (or presumably even downward if you want), and that's just stupid on the face of it. The airwing is not a tank and it breaks all kind of prior Star Fox world/cannon logic to have this kind of disconnected aiming method in this game—for the airwing at least. It's a completely forced gimmick that has clearly only been added as a way to get justify the GamePad, and this was not the time or place for it—not even mentioning how unnecessarily convoluted it is. Also, no; this isn't how a "real" airwing would control. You'd simply point the ship in the direction you want the guns to fire, as you do with pretty much as fighter craft, and indeed have done in all previous Star Fox games. Any displays and dials in the cockpit have nothing to do with how you fly and aim the ship or its weapons using the actual flight stick. It would be fine if the GamePad just let you look around but not aim the weapons imo. That way you could totally ignore it if you want and just play the game like any other Star Fox, but in this game it actaully moves your aim, whether you want it to or not; so you're obviously always going to have to worry about the position you are holding the GamePad in most of the time, which is just an unnecessary extra hassle. If anyone is actually going to argue that this dual screen control method is actually more fun and/or more intuitive than just simply pointing the airwing where you want to shoot then I would like to assert right here and now that they are both blanking their memory of the far simpler alternative, as seen in the previous Star Fox games, and also drinking Nintendo's Kool-Aid by the mug full. Note: I talking mainly about the use of the second screen in conjunction with the normal TV view here; not the particular new mapping of the various control buttons, which Ideally you'd be able to remap anyway (of course, this being Nintendo, I'll not get my hopes up for even that). Do you think the reason for the shoddy visuals is because the Wii U has to render 2 outputs at the same time? Case n' point, I thought I remembered reading somewhere (maybe it was on NL) that MK8 intended to use the gamepad as another screen so the others could use the TV. However, they nixed it because the Wii U couldn't keep up with rendering two outputs at the same time. I have to wonder if this is the reason why it had to go with "GameCube like" visuals. Feel free too shoot my theory down, I'm just spit-balling. Maybe it's just cause Nintendo is in a pinch to get this thing done, with the Wii U nearing the end of it's life and all. After a lot of doubt from even myself about this game I have to say that after watching the Treehouse footage of it my opinion has completely changed. This looks to be shaping up as an excellent game, and one I can't wait to get my hands on! Welcome back Starfox! This game NEEDS a demo. I'll wait on the demo and see how it controls. Your major is wasted on video game journalism, Sir. @Tender_Cutlet I finished two degrees, and all I got was this lousy Star Fox game. Key difference: This reviewer accepted that the controls would be vastly different immediately. I think when the going gets tough, Alan still relies on muscle memory from playing the old games. No surprise that Morgan here had so much fun and enjoyment from his newfound skills and abilities while Alan just couldn't come to grips. You all may choose a path. It's not just the game, it's also up to you. @Pandaman PMSL. 😭 I'm sure the general consensus of the finished product won't be THAT bad! "Why does it matter whether Kamiya is invovled? Platinum is a large studio with many cabaple creators, he is just one figurehead"
Ya, lets not pretend that every time a new Nintendo game comes out that is being designed/produced by Miyamoto that this point isn't hammered into our brains in every article about it. Man, people really seem very spoiled imo.. I know technology has come so far, but comments all over the internet, about how poor they perceive the visuals, are a bit uncalled for. The dev team look like they've truly done a fine job with the game (look how buttery smooth it runs!! ), yet many commenters have the nerve to express their displeasure over the graphics. Just goes to show how sickeningingly high expectations have become. Bad attitude all around. The appreciative ones are probably the quiet ones. So c'mon people, backup a little and be reasonable. Mmmh, this a tricky one. I want to love it, and I'm sure it'll be fun. And I'm sure graphics will be ok, at least. I am not even concerned by controls, heck I haven't had a single problem playing KI on 3DS without circle pad pro, so... What scares me is content. No online? 2-3 hours campaign? If that ends up being the case, I can't see it moving too far from the "worth a rental" category. When the graphics are great like in MK8, Smash Bros, etc, people praise them constantly. When the graphics are seemingly disappointing, they will criticize them. Honestly, I think the control issues are going to end up brilliant. I had a hard time with the twin analog sticks when I first played FPSs. Then I had a hard time with Splatoon's motion controls, and I got used to that. I played through an FPS yesterday and had a hard time with the fact that there were no motion controls. So it may be a lot to keep track of at first, but it'll probably be fine 2-3 levels in. @MoonKnight7 Yeah, there's certainly something in that. It's certainly logical that, when the system's being pushed, generating a second stream on the GamePad with a different view or player's perspective does naturally increase the demands on the console. That was probably part of the call made with MK8. Alright, using the right stick for advanced maneuvers is much more acceptable than how it's used for essentially aim assist in Splatoon. It even sounds quite a bit superior to the u-turn and somersault controls in "Star Fox 64 (3D)." I'm just worried about the double tapping, as in my experience analog sticks aren't too great at registering double taps. I'd prefer just a single push left or right to barrel cough aileron cough roll. As for the gyro controls, with the reticle also on the TV screen, it sounds like I'm better off just looking at the TV screen most of the time and only using the GamePad view for those sniping sections. That helps aleviate my concerns about awkwardly switching back and forth between the two views. Well, "Star Fox Zero" is now firmly in second place (behind "Xenoblade Chronicles X") on my list of most aniticipated Wii U games thanks to this article. Honestly i'm starting to think this will be very easy to control, and with some simple thought position will become almost 2nd nature. This Alan guy is just unco-ordinated to the point where it's to hard for him to get his simple mind around. I'm not letting any gumby game player to taint my perception of this game, i'll wait until I try it myself before giving up on it. To me it looks simple. 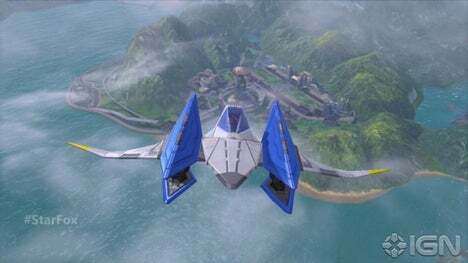 @Kirk Who says the Arwing can't be redesigned to use swiveling laser cannons like the Millenium Falcon's quad turrets? They're basically rebooting the story (again), anyway, so it's not like canon means a lot with this game. No, it's not as simple this way, but it does allow you unprecedented aiming freedom in Star Fox, and it very well could be more intuitive this way; we'll have to wait to try it ourselves to make up our own minds. Do you think FPSes should've kept a simple straight ahead aiming system like in "Wolfenstein 3D" or "Doom" rather than advancing to the more complicated aiming systems seen in modern FPSes? I dearly, dearly wish Nintendo would stop forcing us to use their specialty controls and give us a wide array of options instead. When I first bought the Wii, I greatly looked forward to the New Super Mario Bros. game but I dropped it like a hot rock when it forced me to "waggle" the Wiimote to use Maro's propeller hat. There was nothing whatsoever that was fun about that. What I wanted were the better visuals and creative, new levels. I fear that I won't be buying StarFox for the same reason. While I COULD get used to the controls, I don't wish to play a game that I have to fight to overcome my initial trepidation to enjoy it. I re-bought the Wii-U for some VC titles and games like StarFox and Zelda, but with Nintendo abandoning the SNES on VC, StarFox looking like a dud to me, and Zelda in the distant future I'm struggling to see why I want the system anymore. i'm also considering dumping my XB1. Perhaps I've just outgrown consoles, as painful as it is to admit. @AirElephant Did you miss the article about the gyro controls being optional? After the laughter comes tears. I'm worried about Nintendo I don't want to see them fail again. I just don't understand why they won't get new developers and fresh minds in there to creat new ideas and new characters or other old ones? Adventure Island? Ice climbers and make it s completely new game. I hope I am wrong, but I feel like we are not getting Nintendo 's best here... I really want to like this, but the one step forward and two steps back approach just rubs me the wrong way. Backwards: very dated graphics, rehash of the old n64 template, I mean even the voices are the same and dialog seems the same. And wii U should be: Nolan's batman... But I feel like it's Batman with Clooney... 😢😢😢 please Nintendo prove me wrong and take the time necessary to really a provide a great, fun and awesome visuals game. Also didn't start fox 64 run at 30fps? Why is 60 needed? I think in this case I would trade better visuals for 30fps vs way it looks now at 60fps. Sounds like Alan never quite figured out the Target Mode. @Toadthefox wow, only 5 levels? Seriously? Nintendo? What are you thinking? @Pandaman this was a great article... And yes the part about how everything was set up for you to play is important. It looks at least ten years out of date visually. 60fps is nice but it needs to look at least decent. Hopefully screenshots and video are not doing it justice. I always think WoW looks uninteresting on video but awesome when playing. And I say that with good intentions... I think it looks unique. Not good nor bad..
@Danrenfroe2016 hahahaha that is the best analogy I've read in a long time. I agree, this looks like batman with clooney. Ha! I'm so grateful that @zipmon was there to give his mega-detailed explanations and impressions, as usual. One of my general rules for game reviews is: if Morgan Sleeper likes the game, it's probably a safe bet. Glad the controls clicked, but generally if they only click in certain people and instances, it's not an overly good thing for a first party release. I guess I'll have to wait and see if they click with ME! Use major franchise bombs wisely. 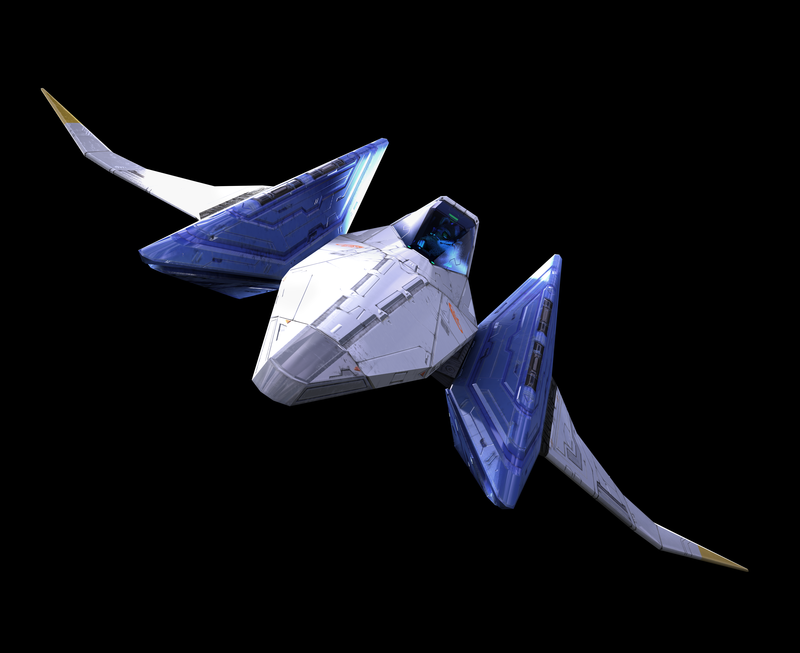 @BulbasaurusRex The design of the airwing as it appears in the actual game. First of all; there's only one person in that ship—that I can see—and if they're doing the flying then it would be absurd to expect them to also aim a weapon around the entire ship while trying to navigate/fly the thing through obstacles stuff at the same time. That's why in fighter jets they even have a secondary person who looks around to spot other fighters while the main pilot actually does the tricky manoeuvring; and why in Star Trek it's not the same person who's flying the ship that does the aiming and firing of the weapons; or why in a tank the guy firing the cannon isn't also tasked with steering the tank—as just three examples. The weapons on the ship model also look like they did in previous ship designs; which is to stay stuck at the sides and pointing forward—that I can see. It looks like the same old cannon ship design to me. Also; just destroying cannon willy nilly isn't really satisfying to fans of a beloved franchise. I mean Nintendo's not even trying to pretend this isn't just a forced gimmick; needlessly shoved into this particular game/franchise just for the sake of trying to justify the GamePad. On the tank and "chicken' it actually makes sense, fine, but not the airwing. Use these motion controls sparingly and intelligently. Give people like me at least some levels where it's just pure old-school classic Star Fox gaming; without stupid forced gimmick and convoluted crap. I mean you can't even just play without using the GamePad because any slight movement will move the aim cursor off where the ship is pointing and towards whatever direction the GamePad is leaning in. This 'unprecedented freedom' just isn't necessary and imo it basically changes Star Fox fundamentally, from being a shoot em up, which is what most genuine fans of the franchise surely want it to be, and into some kind arcade gun game like thing—a very convoluted arcade game game at that. It's basically changed genre now. Shoot em up to convoluted gun game. So how are all those people that actually loved Star Fox—Star Fox the shoot em up—supposed to feel about the fact they've been basically robbed of another franchise they wanted to return. To me, while not quite as bad/extreme, it's like Nintendo giving us Animal Crossing in the form of a board game and expecting us to be happy about it; because we really wanted a new Animal Crossing game and that's what we got. Adding the full aiming into the fps genre made total sense, as a way of evolving that genre and making the aiming more realistic. It's actually how you would expect to be able to aim in an fps game and that's actually what they gave you. It doesn't do that in Star Fox imo. It almost changes it into another game. I mean, seriously, aiming and shooting with the GamePad is basically like an arcade gun game or Pokemon Snap or something. It is no longer a shoot em up. It is, imo, no longer "Star Fox" and all I wanted was a new Star Fox. It would make sense and probably be awesome in a Star Trek game, since the Enterprise can fire in any direction at any time, or in a new Panzer Dragoon; but not here imo. Nintendo forced a gimmick into a game/franchise that didn't need it or ask for it and if it really wanted to try this new kind of control approach then maybe it could have actually made a new game/franchise to go with it and that would really celebrate it; without p*ssing off many fans of one of its already established and beloved franchises. It could have made something like this: https://youtu.be/peoRBj9U-jI?t=524 and with this control, that's so ideally suited to this particular game design, I probably would have considered it genius. Once again however, Nintendo has not given me what I [very reasonably] wanted. It has left me disappointed and frustrated yet again—and it probably genuinely wonders why there's so many "lapsed" Nintendo gamers. I'm so used to motion controls by now that I can't wait for this game. Outlier opinions mean jack at this point, for Nintendo to phone in a mainline Star Fox entry with the console's inage on the line to me seems inconceivable. The fact that we can't throw stones at the guy without them flying back, tells me pretty much all there is to know... I sure don't mind seeing an honest bit of journalism, but leave the interpretation to the people. @OptometristLime I think the exact opposite. I think not "phoning in" many of its big and beloved franchises is exactly where Nintendo is going wrong. It's alienating all those people who grew up playing these beloved games in the first place, by either not giving us new entries in these franchise at all or by giving us new games in the franchise that are simply not even close to the games the fans wanted in the first place; like the new Animal Crossing board game for example. If Nintendo wants to make games that show off the unique charms and appeal of the GamePad then it can do that without kinda ruining the games many of us have grown up with and come to love just the way they are. It can give us cool drawing games like Art Academy: Atelier. It can even give us a level editor for a classic style Mario game, which uses the GamePad in such a natural and intuitive way to edit levels that it actually enhances the experience. It doesn't have to ruin stuff that was already basically perfect as it was. It's "fixing" something that wasn't broken in the first place. If it wanted to do a new shooter with the kind of controls it's forcing into Star Fox it could have maybe tried creating a whole new franchise. Something along these lines would have worked perfectly with the controls it's now using for Star Fox: https://youtu.be/peoRBj9U-jI?t=504 At the very least it could have just keep this new control method for the tank and "chicken" modes, where it at least makes some kind of sense and fits with how those vehicles actually work in the first place, and left the airwing well alone. There's a right way to do things and a wrong way to do things, and imo Nintendo keeps doing things the wrong way. That's why the Wii U is flopping, imo, not because of any kind of "phoning in" of classic beloved franchises. Christ; I'd be f'n elated if Nintendo would "phone in" a new F-Zero game; and if it "phoned in" a brand new full 3D current-gen Mother/Earthbound game—I'd be floored. @Kirk Starfox Doubledash or "Doubledive", "Doublebarrelroll"(?)! Pilot on pro controller, gunner on gamepad. Fixed! Seriously though, best wait to play the finished game before jumping to so many conclusions. The bottom line is will it be fun? It doesn't matter what sub genre of shooter it can be pigeonholed into provided what's offered is fun to play...surely? Nintendo are always trying their best to innovate and they didn't release a carbon copy of an earlier starfox game on WiiU for the same reason there's no F-Zero or Metroid for ages. This is Star Fox U's clear point of difference and if that's what the developers want then that's their artistic license. @Tender_Cutlet That's possibly a way it could turn this into a positive. Let you play the game single player the normal way if you want, but also have a multi-player mode that lets you do exactly what you just described—although I personally would like there to be two guns in this case; so I could still fire while flying as per normal in any Star Fox game, even when playing in this co-op style way. It's not that Nintendo doesn't have good concepts—it's that it's implementing them in the wrong ways imo. Also, yes, to me it does matter. I'm not looking for a new arcade gun game instead of a new traditional Star Fox game. I'm looking for a new Star Fox shoot em up. If we're going to get this "gun game" then it needs to be in addition to and not instead of. It's like the Animal Crossing board game situation—it needs to come alongside a proper Animal Crossing game and not instead of one. Nintendo needs to make fans of beloved and long requested franchises happy; not p*ss them off. I actually want a "carbon copy" and "phone in" F-Zero game. Christ; I'm dying for it. @kirk - re you latter point - if you want to play Starfox in it's original way then there's always the original masterpiece to enjoy. I take it you own it? Why should Nintendo try and "emulate" or surpass a game that fulfilled it's potential? Modern tech would give them a cosmetic boost but would the end product be superior for a shiny new makeover? Look at PunchOut!! as an example. The Wii version pays homage to the the NES classic but underneath its visuals is a hollow, underwhelming experience compared to the original that despite its humble 8bits and modest character roster, squeezed every last drop out of its NES platform. @Tender_Cutlet To me that is a total copout. I love the original and classic Star Fox but the point here is that fans wanted a brand new Star Fox. Not a slightly deformed new Star Fox—a new Star Fox. All the other companies can manage this, with aplomb. I mean Uncharted 4 looks utterly stunning and all it does is expand and improve on that which came before it, without mangling it, and is probably going to be the best game in the franchise. Take that game design mentality and apply it to Star Fox Wii U and you'd have the best Star Fox game ever made; while still being a traditional and classic Star Fox game. There's no need to destroy people's hopes and dreams for these modern versions of classics just because you want to prove your gimmick wasn't worthless. A modern version of Star Fox could add proper 1080p 60fps visuals for a start. So, smoother in both looks and feel right away. It could have current-gen graphics that would just be stunning, and even if they were kept very simple and clean in their aesthetic, like Journey for example, they could still blow people away. It could make the battles and stuff so much more epic and cinematic, with crap loads of enemies and stuff onscreen and a near infinite draw distance with no visible popup. It could go to town on the presentation; with a much more developed story, far better voice acting, and really do those puppet characters justice in full-blown cutscenes and stuff. It could basically be like a Star Wars level of spectacle. It could even have a proper full-fledged online multiplayer; with say 16 players, or more, battling in the various level or in epic space battles all at once. It could still even use the GamePad, but maybe just as a way to look around the cockpit for fun; maybe even to select certain options and stuff that aren't directly related to the main gameplay. It could be where the heads of the characters popup when they are messaging you; or it could just be used for the usual map stuff or whatever. The original game was spectacular and basically like Nintendo's 'Star Wars' relative to it's time but there's no reason at all you couldn't basically have the equivalent of that again right now. This current-gen take isn't even close to being Nintendo's 'Star Wars' of its time; which imo is what the original Star Fox was and what this new Star Fox deserved to be. Modern Punch-Out!! was great. It just needed a bit more polish and pizzaz around the menus/GUI and presentation that surrounded the main game, and maybe a few more fighters, imo. Also; it didn't need the stupid Giga Mac or whatever he's called. "It actually feels very similar to Splatoon, in that you use the analogue sticks for larger movements and the GamePad's gyro for smaller adjustments,"
Ugh, why do they keep ruining games with inaccurate, sloppy gyro controls? Gyro controls have never served to enhance any aiming, they always make it worse because the targeting just flops around all over the place irrespective to which way you're moving the gamepad or Vita or whatever you have in your hand that thinks this rubbish is a good idea when anyone who has actually used it can tell you it isn't. And of course, just like the aforementioned Vita, this is double strength stupid in that the screen you need to keep your eyes on is built into the device you need to tilt around, and tilting the screen around makes it hard to keep your eye on the game. At least in something like Skyward Sword when you had to sloppily, slowly, and inaccurately aim your bow or hookshot or beetle or whatever with gyro controls, the TV was in a fixed location and not moving so you could still see it clearly. I don't know why Sony and Nintendo both decided to take a bad idea and make it worse by putting the screen you need to look at on the handheld device you're tilting in all directions. It's also never been fun to have to stay robotically still as you play, lest you move the controller slightly and have the aim go all over the place when you didn't want it too. That was annoying enough in Captain Toad and that wasn't a fast paced action game that relies on accurate aiming. Losing my aim in the middle of an intense boss fight because I shifted a little in my seat and the controller took it as an invitation to move my aim wherever it please would probably make me chuck the stupid gamepad against the wall (or maybe in a woodchipper where it's belonged since day one). The only thing stopping this game being an immediate pass from me is the news that you can disable this gyro crap. After watching the Treehouse gameplay, I'm positive that this game will be fantastic. Everybody has bemoaned gyro controls and dual-screen focus, myself included, but after seeing it in action I realize it offers a much wider range of possibilities. Really looking forward to experiencing the 3D sound thingamajig, as well. @mjc0961 Splatoon plays very well with gyro controls, it's by far the better control option as compared to R-stick only. And I'm sure SFZ will play better with them as well. I'll have the controls for SFZ down in 2 minutes, no problem. Just a matter of learning a new control scheme. I just can't take gaming culture seriously anymore, if I had an axe to grind it would be against this jaded and cynical generation which is impossibly fixated with the past and some how still expecting the future to fall into their orbit. Nintendo for their part are increasingly clumsy and out of step with their own vaunted expectations, personally I could care less about legacy when the games coming out now are fun. @OptometristLime So; underwhelming, less fun, more convoluted and more gimmicky versions of games that were already perfect in that particular respect, controls and basic gameplay mechanics, is where you think it makes sense for Nintendo to take its games? Nintendo apparantly thinks similarly to the likes of you. It's probably why there's so many "lapsed" Nintendo fans out there right now. Maybe, as a random example, the guys making Uncharted 4 could take a leaf from Nintendo's book and make it so you have to hold the controller behind your back while playing the game, or something like that. They could probably downgrade the graphics to look closer to PS1 level of textures and stuff while they're at it; just to really capture that nostalgia. I mean it's not like the absolutely stunning visuals and gorgeous vistas do anything for the game experience at all. They might as well also remove all the world interaction; the destructible objects, the realtime physics, the dynamic lighting and shadows while they are at it. Probably cut down the amount of geometry and stuff in the level by about 20–30 times too. Also; let's just get rid of all the high quality voice acting—it does nothing for the experience. Nintendo clearly knows best, so these guys at Naughty Dog should probably be trying to ape Nintendo's approach to current-gen versions/treatments of its most beloved franchise a bit more—especially with the whole motion control gimmick stuff. That's how they'll meet gamer expectations and allow fans of this epic AAA franchise to really have more "fun"—just like Nintendo is doing with Star Fox Zero. How can they possibly innovate when fans like you paint them into a corner and look for by the numbers experiences? For me Nintendo's motives make a ton of sense in terms of trying to meet that new audience. I think it's unfair to expect "carbon copies" and also look for a competitive current gen experience. Sorry to say I don't think Nintendo is the horse I see you riding with during this particularly stormy time in the industry, and that's okay. @OptometristLime So; Art Academy: Atelier isn't innovating? Adding a level editor into Mario that allows people to use the GamePad to directly create levels isn't innovating? Nintendo has plenty of options to innovate and show off it's awesome new GamePad, in lots of cool new ways, without having to p*ss off fans of beloved franchises in the process by adding totally forced gimmicks into those games. It's just often picking the wrong time, places and ways to do so. Christ; I've even given you a few simple examples above of how it could add extra stuff into the Star Fox game that uses the GamePad, but without being a gimmick that just convolutes the core experience and in many ways makes it less fun for a whole bunch of fans. Also; just because it's "innovating" that doesn't give it excuse to skimp and half-*ss it in almost every other area of the game design. My take on Uncharted is fairly anecdotal, but that style of gameplay does nothing for me. Run and shoot, the environment is complex and beautiful and that's all they can think of to do? @OptometristLime Yeah but that's only because you've not read up on what you can do in this latest Uncharted game. Unlike the previous games, this time you're given a lot more freedom in the world. It's got the 'run and shoot' stuff, for sure, but that level you see before you is a place you can freely explore and play in this time around, beyond just progressing the cinematic story part of the game. Now you can explore alleyways, find new routes, just play around in the world at your own pace. That's how they are keeping the franchise fresh and how they are evolving the core gameplay experience, without compromising on all the stuff that made fans fall in love with that particular franchise in the first place. Nintendo could take a leaf from Naughty Dog's book when it comes to this new Star Fox, imo. @Kirk - I completely agree with wanting a new Starfox game and not a "re-imagined" version of a game that's been released three times in different forms before, I had a debate on this yesterday. However, I don't agree on the Uncharted 4 example as a means of progression. Yes U4 looks stunning and all those graphical features will enhance the experience, but at the core it's just a prettier version of Uncharted 1,2 & 3. This just shows a lack of creativity and imagination, and that all they can do to improve the game is through the use of horsepower and someone with a paintbrush. This approach will eventually backfire as games become boring, dull and predictable. Look at Mario 3D platformers. They've constantly changed and evolved over the years and always stay fresh. Of course elements are re-used throughout the series but each game is unique and special. If Nintendo could apply that Mario 3D magic to Starfox then they would be onto a winner. I only put in my 2 cents as it seems like a positive take on refurb Nintendo experiences is some how rare or beyond consideration. When I look at a game and can easily see myself having fun, what the hell do I care about 101 details. Granted this is not looking graphically marvelous, which seems to be an odd (deliberate?) choice considering the tech at their disposal. Still though flying around those environments will be a truer test than static models. @CTs_Lieutenant The thing is that this new Uncharted is giving fans exactly what they are after while still expanding on the core experience in a few meaningful ways. It's nailed all the cutting edge presentation and graphics stuff, the whole cinematic experience, so that's one plus point right out the gate for both Uncharted fans and current-gen gamers in general, and it's given players more freedom and choice in the world than ever before [see link below], allowing them to freely experiment and play in these massive environments, which has presumably addressed really the only criticism you could level at the previous games in the serious; the very linear nature of them. It's ticking all the boxes it's supposed to tick and adding a few more desired and appreciated boxes in the process. Even being able to drive in vehicles is a cool new addition and expansion to the series. You can't really fault the developers approach to making a sequel to a beloved franchise here. These guys are actually doing everything right by this franchise here, imo, which is why I chose this particular example. That is all I ever wanted from a new Star Fox. I admit my first impression of this new Starfox was underwhelming, but the more I see of it the more I like it. This one could turn out to be a lot better then first impressions indicate. Star Fox is my game of the E3. Its graphics looks mixed so far for sure, but as some levels actually look very nice, I have a feeling that some levels were quickly made for prototyping purposes. And even in the "classic" Star Fox 1st level, the fluid controls made it look good in my eyes; its immediacy makes me want to play it more, than anything else out of Virtual Reality games. I'm not interested in this game at all, but I enjoyed the different perspectives in the article. What I really want to do is award you all the interwebz today for this one post. Well done, sir. Well done. I'm a firm believer that; the games with the best controls are the ones where no one ever mentions the controls. @Kirk I was going to debate this but that choice of phrase "hopes and dreams" has got me thinking it wouldn't be worth it - how could I possibly convince someone otherwise when they feel that strongly? Life is full of challenges; if you allow your "hopes and dreams" to depend upon strangers and don't take responsibility for them yourself then you are almost certain to go through life feeling let down. Remember it's just a game. @Kirk in all your posts you've pretty much summed up my thoughts on sfz as a whole. Personally, I do feel that ill end up enjoying it a lot upon release, gyro controls or not. Though I cant help but feel that I would have enjoyed it a lot more if they would have stuck to its true shooting game roots which is what made it an amazing game in the first place but just cranked everything to 11 like you described. The main reason why I dislike the gamepad dual screen setup for sfz is having to flip between 2 screens while playing a relatively fast paced action style game is ludicrous, humans just aren't designed to look at two separate things in detail at the same time, just doesn't work. So constantly changing between tv and gamepad is the only physically possible thing to do and that in itself doesnt feel intuitive at all. Having said all this, im still looking forward to playing it and im sure ill enjoy it and hope you do too as you sound like a big fan of star fox/wing. On a side note, to all those who are saying the graphics aren't bad, seriously? Ive seen better lighting and bloom effects on the ps2 for f sakes, and that's considered a retro console now! @Haywired masterfully said my friend, masterfully said..
@Tender_Cutlet Well true but my "hopes and dreams" were those for this game; not actual life. In that respect Nintendo failed, imo. In my life I too have failed in many respects and so has the world failed me—well more precisely our individualistic, selfish, greedy, capitalistic society has failed me (the world just is what it is and holds no blame)—in many ways too. The thing is; it's easier to not f**k up controls that already worked brilliantly, than it is to win at life. I mean even I know how to make decent controls—certainly in a Star Fox game—whereas figuring out how to win at this game called life is however a wholly different matter. a little tiny gamepad screen is NOT more immersive than my big @$$ flat screen . Also that big @$$ flat screen is why I purchase game consoles. Now, all will be forgiven if gamepad play is optional and traditional controls are available. @Kirk haha. True, true. Well i'm glad you're not as deep into this as I had concerned. @theberrage God, I really hope it is optional but somehow I doubt it. Can't help but feel significantly disappointed. Looks like this should be pushed back until 2016 aswell. 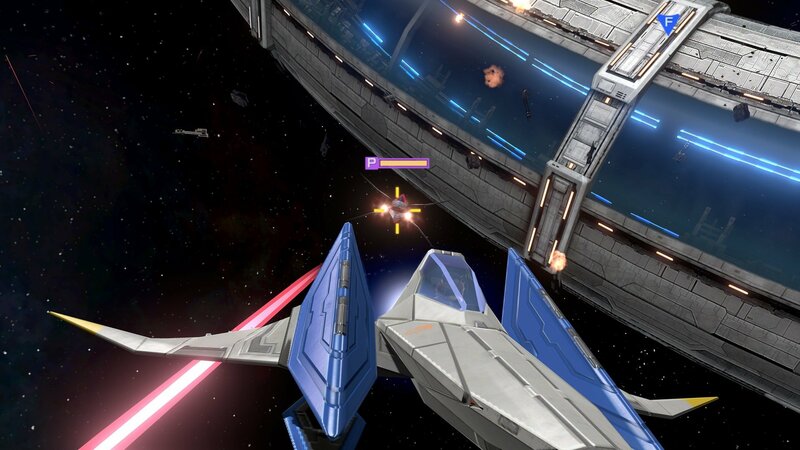 Looks like a HD version of the rubbish Namco made Star Fox Assault. I don't know why they don't use Rare's incredible Star Fox Adventures character design. It's 100X more detailed then what Nintendo throw out now and is more in tune with the series. @theberrage Agreed, Nintendo need to drop the silly gimmicks. Gamepad for off TV-Play and maybe methodical/puzzle titles that require it - integrating it with fast arcade action is stupid. @OptometristLime So a polished ultra cinematic title that runs, looks, sounds and plays astonishing as opposed to what? Star Fox U with a dolly mixture of gimmicks, poor controls and poor graphics? Don't forget Star Fox 64 was the first game described as 'turning a game into a movie' so good was it's graphics, sound, presentation and cutscenes - it was cutting edge and incredibly cinematic for 1997. @liveswired that wasn't a comparison of my invention, why put words in my mouth? Ridiculous fanboy tripe. @Kirk Okay, I see your point about the in-universe design being overly complicated for a one-man fighter, although if the average video game player can pull it off, there's no reason an ace pilot couldn't also do it. Maybe it's an advanced design only made available to the best pilots? Anyway, it's not that big of a genre switch, certainly not compared to "Star Fox Adventures," which was also a great game. You should give the new control scheme a try before immediately denouncing it. I'm sure they'll have a demo for it. Just keep in mind that you can just look at the moving reticule on the TV screen most of the time, like how Player 2 aims in "Star Wars Arcade" for 32X, and if you don't like the gyro controls, just turn them off. Remember, many people initially didn't think Metroid would work well in first person, but "Metroid Prime" managed to change most of their minds. By the way, the controls for Star Fox 64 are certainly excellent, but they're not absolutely perfect. The controls for performing a somersault and u-turn are pretty awkward and difficult to remember which is which. This game sounds like it will at least improve on the controls of those two maneuvers. @NImH That means a lot! Thanks mate!